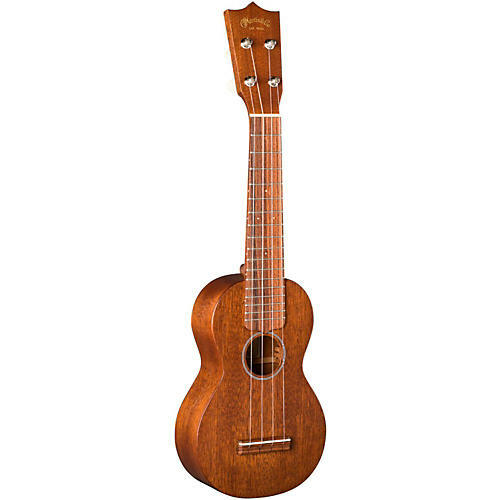 The Martin S1 Soprano Ukuleleis crafted of solid genuine mahogany, joined with a dovetail mahogany neck. It features traditional cedar linings and inlaid rosette, sipo bridge and fingerboard, and bone saddle and nut. It is laid out in soprano dimensions and comes with its own padded gig bag.